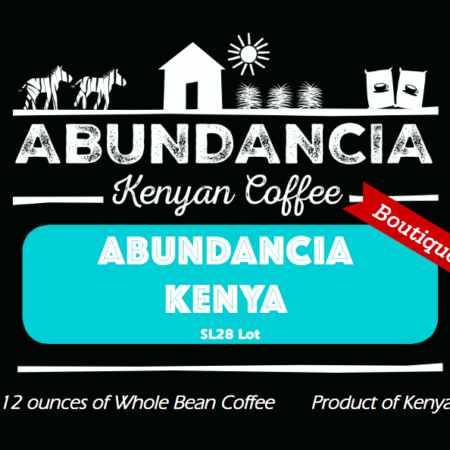 Whole Bean Coffee – 8 oz. 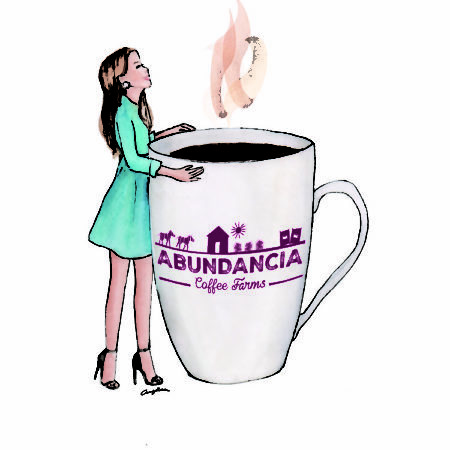 CUP PROFILE: Sweet floral, pomegranate, hibiscus, sweet honey fragrances. 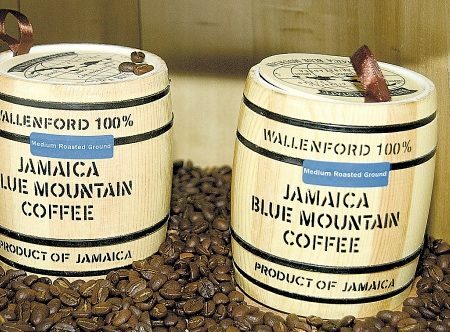 Our coffee curator came across this rare and exquisite coffee and fell for it immediately. 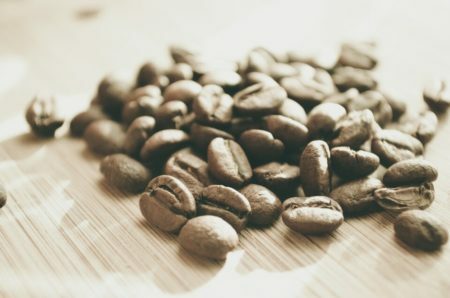 We have cupped hundreds of Geisha coffees from Ethiopia where they grow wildly and naturally from Panama Hacienda Esmerlada to the coveted small estate hills of Tarrazu in Costa Rica. 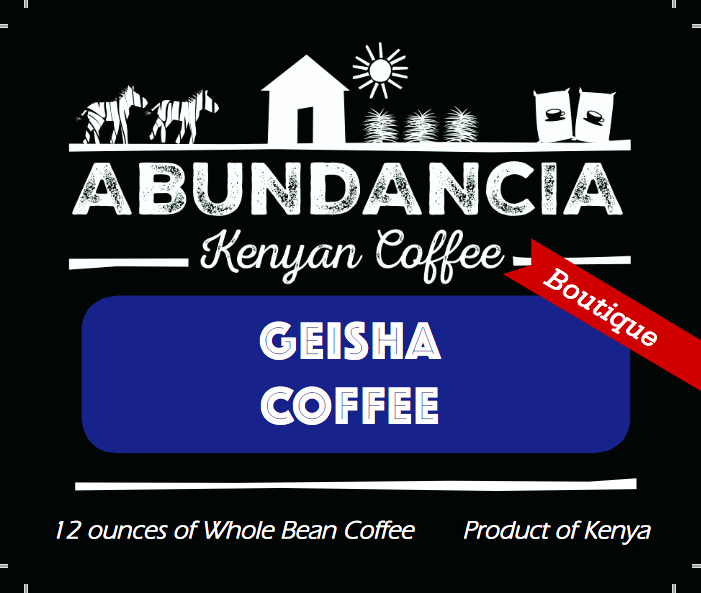 We rarely carry coffees from other places in the world – this rare specialty coffee earned a spot in our rotation. 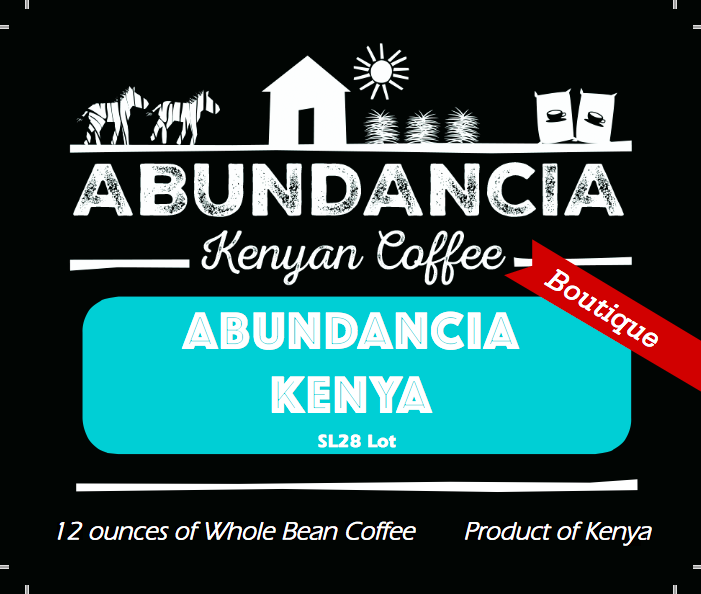 Grown using organic principles, Fair Trade, whole bean coffee – 8 oz. Nestled at 1600 meters above sea level, this lot surprises us every single year by producing coffee that is more delicious every year. 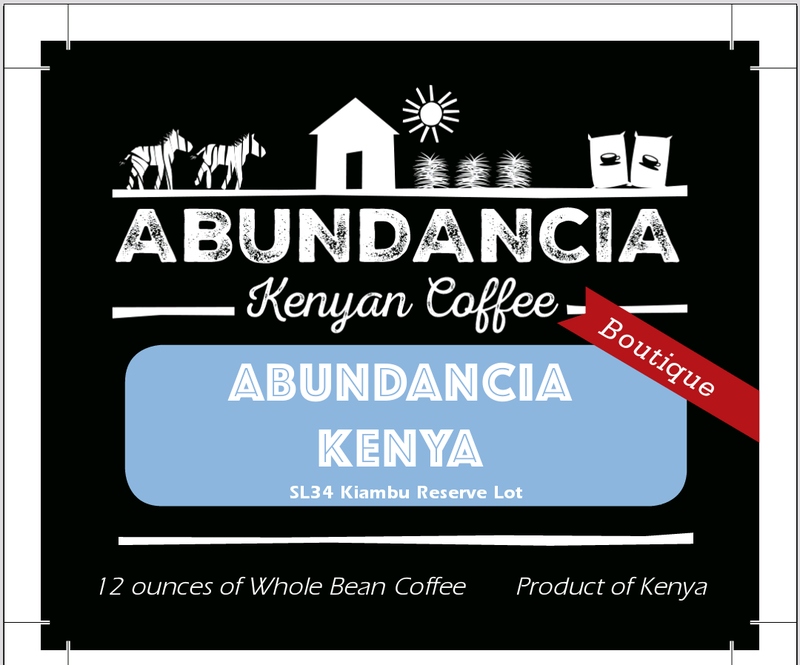 This low-yielding variety is responsible for some of the best Kenyan Coffees. We are very proud to be the only one carrying a non mixed lot-of SL 28s in the US. Enjoy! 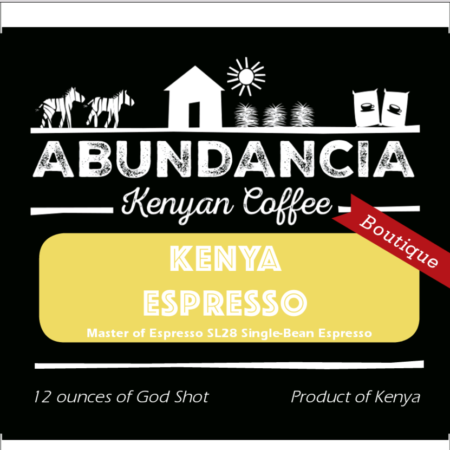 The Kenya SL34 AA Abundancia Kiambu Reserve Lot is located at 1800 meters above sea-level, the perfect zone for this high-altitude loving varietal to achieve her potential.